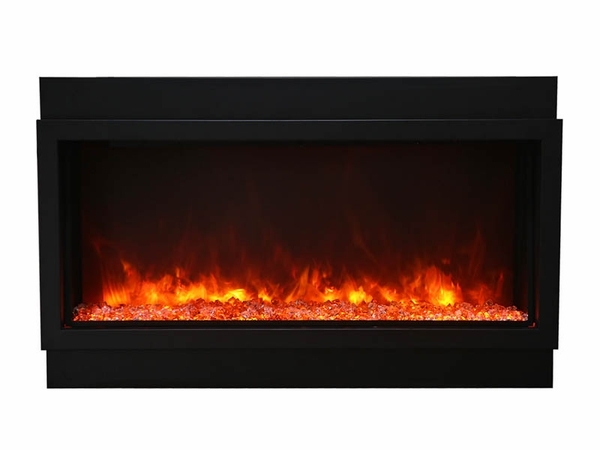 When you're looking for a complete electric fireplace, including surround, look no further than the Amantii 40 Inch Extra Tall Deep Built-In Electric Fireplace with Black Surround. 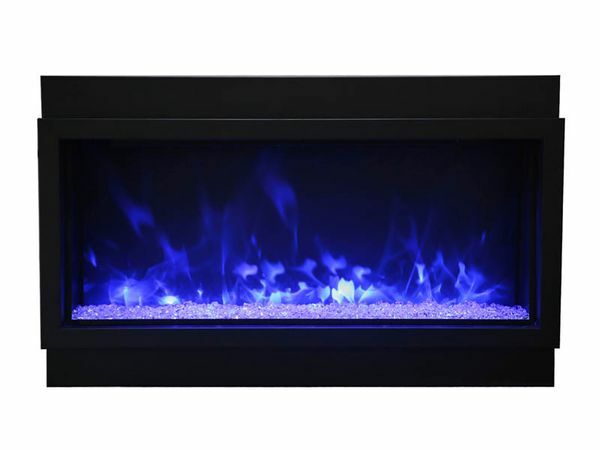 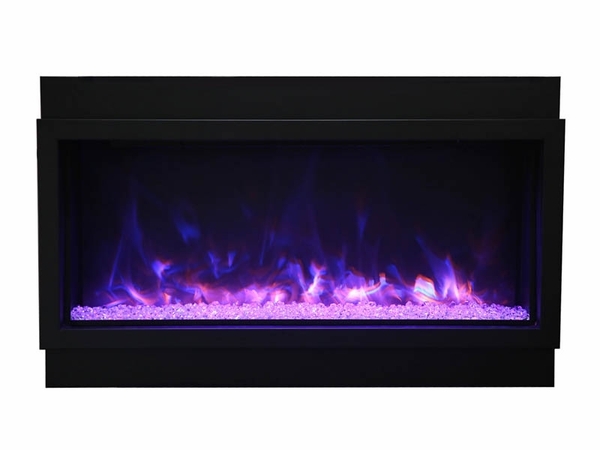 This deep model is rated for both indoor and outdoor use and features Amantii's FIRE and ICE presentation, allowing you to change the color of your flames. 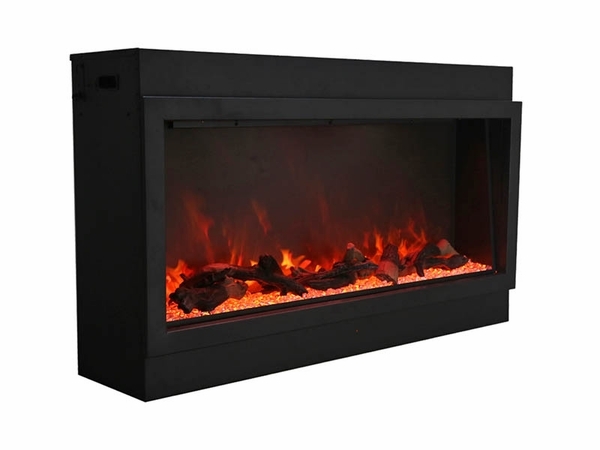 Able to heat between 400 and 500 square feet, this is the electric fireplace of your dreams. 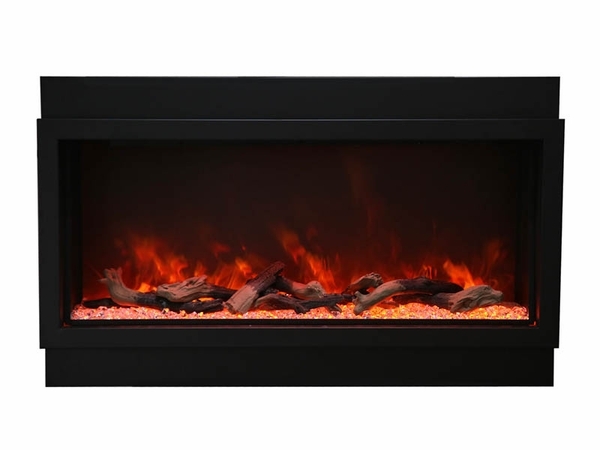 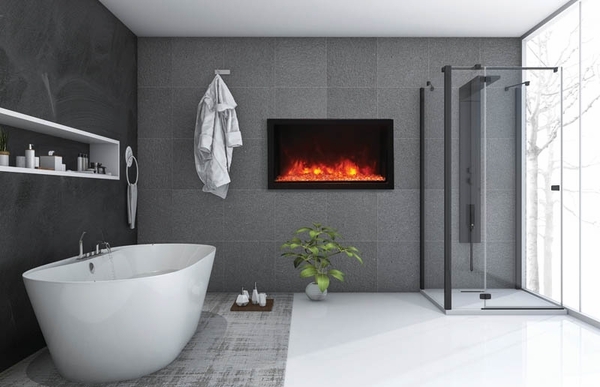 Enjoy a beautiful and practical fireplace from Amantii.